One of Nigeria's most famous music stars, Davido, has apparently ventured into the Motorsports business. 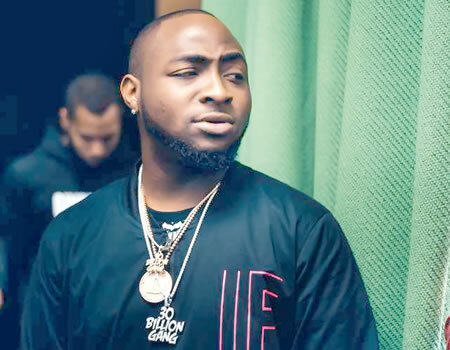 Pop star, Davido once said he has 30 billion in his account and fans went wild. Now, he may be trying to say he makes his money not just as a musician but also as an astute businessman. The multiple award-winning entertainer is proving that he is much more than just a music hitmaker as he continues to expand his business with his latest move being to venture into motorsports. Although he is already one of the highest earning African musicians, the superstar has revealed via an Instagram post on Monday, October 15, 2018 that he is venturing into motorsports business. In the post he shared, he is seen posing next to a beautifully decorated sport racing car. According to him, this is his new hustle aside music. “We not into music only we do motorsports now so follow @chillingmotorsports for update 30BG lifestyle,” he captioned the photo. In case you don’t know, motorsport are sporting events which primarily involves the use of motorised vehicles, whether for racing or non-racing competition. This is not the first time Davido will be revealing that he is expanding his business empire. Recall a few months ago, he announced that he would be diversifying his empire into other sectors including aviation and movies.